A ZWOASI120 MC camera was placed at the Newtonian focus of an f/5, 6 inch Newtonian on a Star Discovery, AZ, GOTO mount. 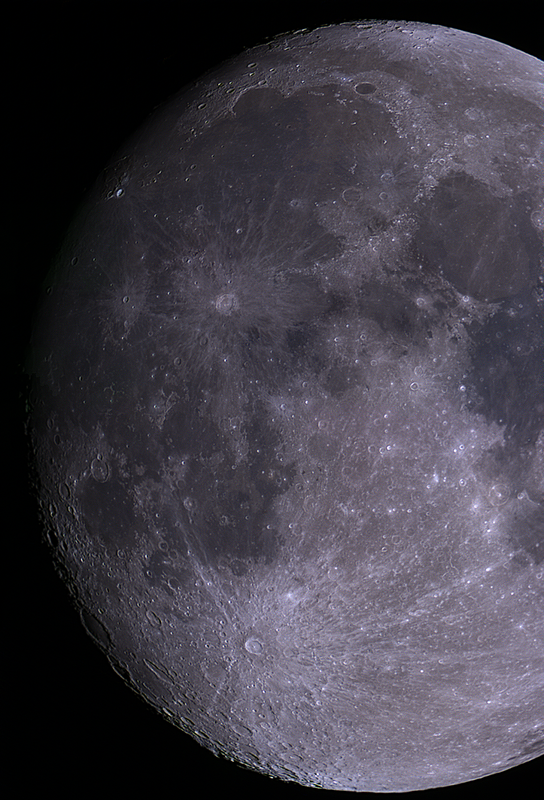 AstroDMx Capture for Linux was used to capture 1000 frame SER files of 3 overlapping areas of the terminator of the 95%, waxing, gibbous Moon. The SER files were stacked in Autostakkert! 2.6 in Wine, and the resulting images were combined into a single mosaic using Hugin Panorama Creator. The image produced was wavelet processed in Registax 5.1 in Wine and post processed in the Gimp 2.9. Click on the image and click again to get a close view.